Greeting BPR party people! 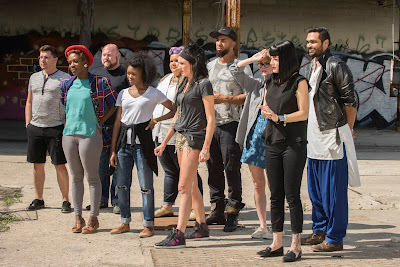 It's time once again to dive into the dumpster of fashion as we watch another new episode of project Runway together. Those of you pining for a glimpse at Swatch will be disappointed again as the PR production crew continues to keep the designers off of Manhattan. That won't stop us though! Clock on the comment tab to join the fun.